Are You Making These 5 Costly Client-Acquisition Mistakes? Sometimes the strength of a great introduction makes the “sales process” quick and painless. Your prospect knows what you do, wants what you have to offer, and is ready to take action. If this does not happen for you with at least 10-20% of your prospects, you probably aren’t securing strong enough introductions as part of your client acquisition process. For the remaining 80-90% of your prospects, you will need to help them get in touch with their GAP between where they are and where they want to be, as well as help them determine that you are the best person to help them close that GAP. Many professionals get confused with the difference between Features, Advantages, and Benefits. For example, getting more referrals is an implied benefit or an advantage, but not the end benefit. After you translate your features and advantages into clear benefits, there is a powerful next step that most professionals don’t take. When you help your prospects discover the impact of a particular benefit, they begin to create emotional ownership of that benefit. You make this translation through the use of questions such as: How do you see that impacting you and your family? What would this mean to your specific situation. A confused mind will not take action. Too many choices often cloud the mind. Whenever you offer choices to your prospects, try to limit them to two or three. One study found that when a company offered their prospects 9 different choices of products, their conversation rate was about 20%. When they reduced the choices to 3, their sales rate increased to 50%. I estimate that whenever I ask a client how they would like to proceed, about 50% of those prospects tell me they want to think things over a bit. But whenever I make a recommendation, my on-the-spot decision rate increases to about 70%. Your prospects need to feel your confidence in your ability to close their GAP. I recommend you develop a number of tools (including good follow-up questions) you can drip on your prospects over time – to help them gain further clarity on their GAP and your ability to close their GAP. 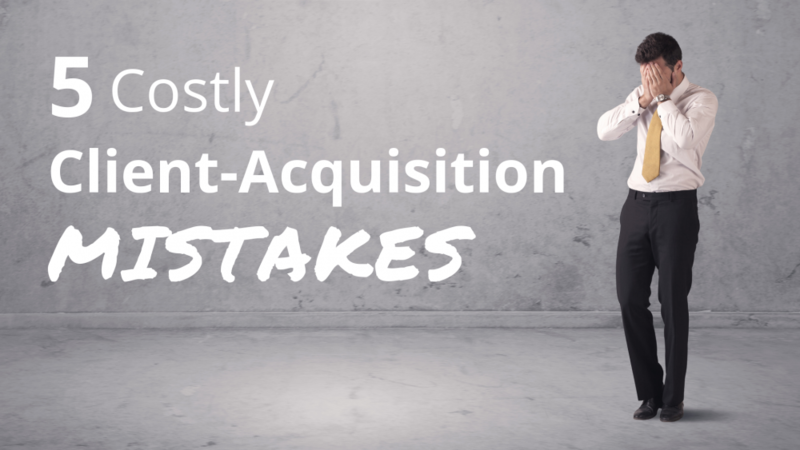 Yes – I’ve made all of these client acquisition mistakes at one time or another. In fact, I still do from time to time. No one is perfect in avoiding these common mistakes. When you put clear processes and checklists in place, you can keep these to a minimum and move your client acquisition to a new level of effectiveness. What works for you? Or what questions do you have? I’d love to hear from you. Please leave your comment below. We can all learn from each other. Thanks! Are You Ready to Build a Thriving Referral-Based Business? 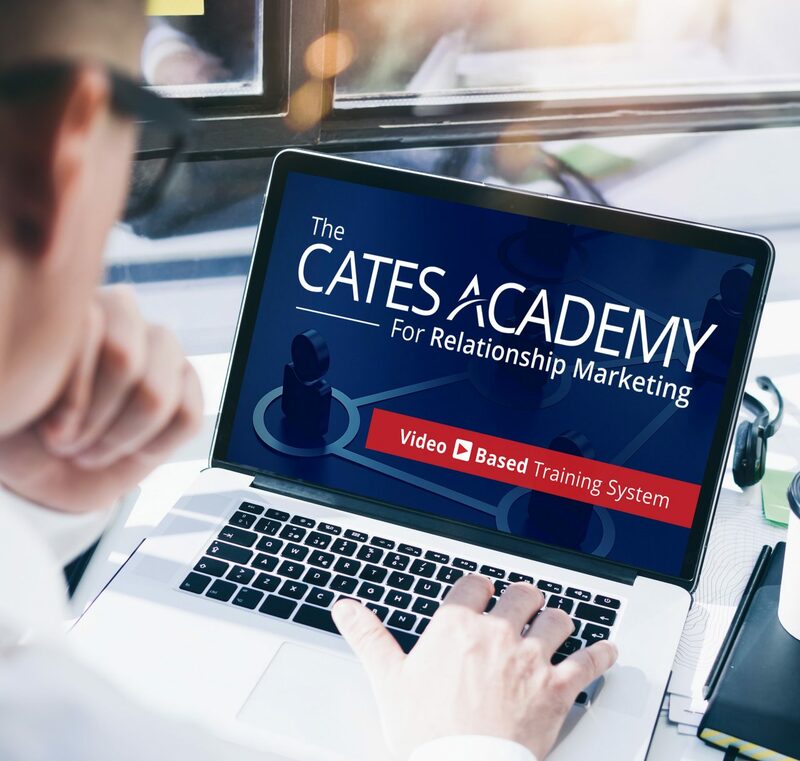 The Cates Academy for Relationship Marketing™ is a comprehensive online video-training program that will help you generate significantly more income in less time. Learn Bill Cates’ proven process for multiplying your best clients by attracting more of the right prospects through the power of referrals … on your own schedule, 24/7. This entry was posted in Convert Prospects into Clients (Sales) and tagged client acquisition. Great articles. Each one needs to be read more than once and then some thought spent for execution / implementation. I am sure they will fetch good results. How Well Do You Know & Should You Know Your Clients? Stop the MADNESS! Are You Making These 5 Referral Marketing Mistakes?